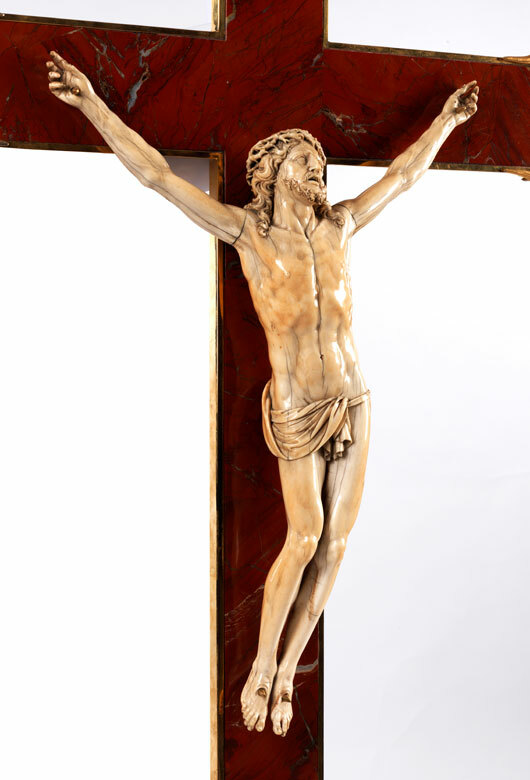 Höhe des Corpus: 51 cm. Höhe des Kreuzes: 98 cm. 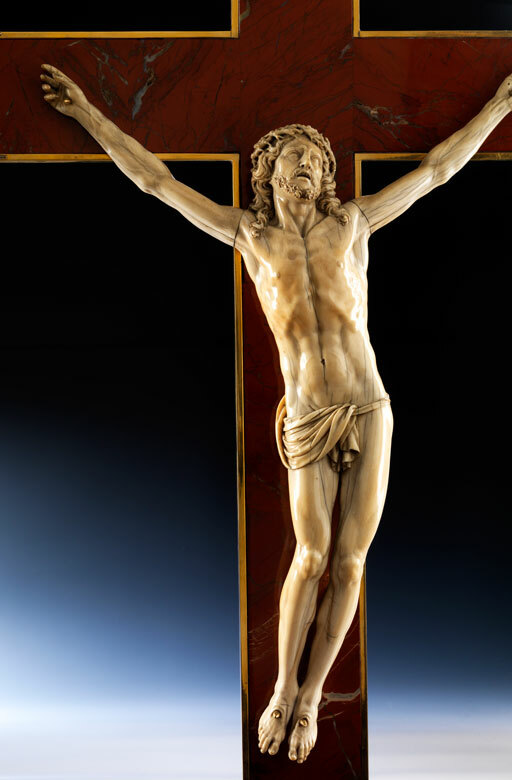 Height of Christ figure: 51 cm. 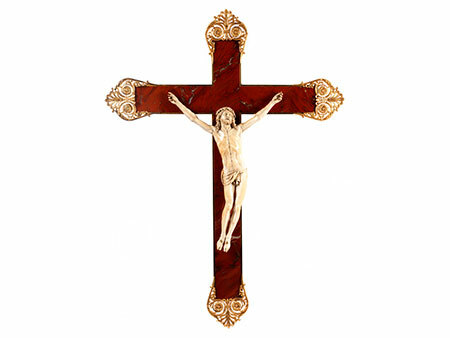 Height of the cross: 98 cm. 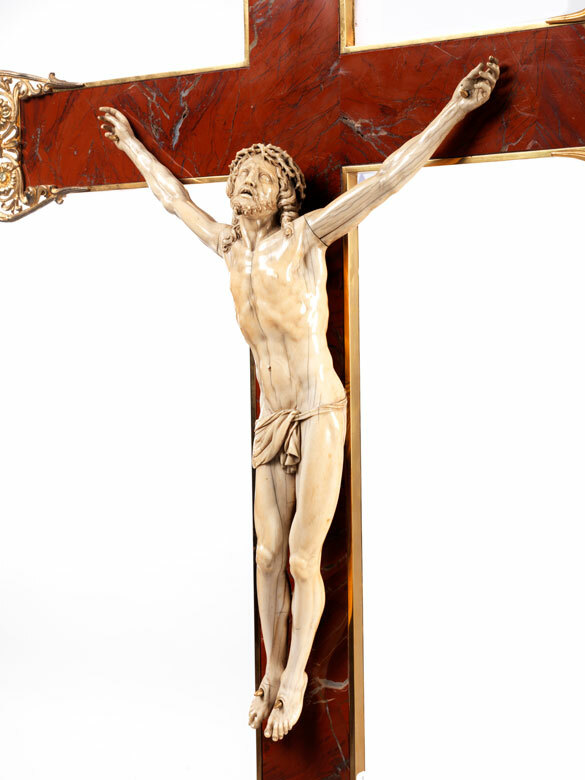 This Corpus Christi is a four-nail-type with the body depicted slightly arched to the right. The upper body faces the left and the head is turned in the opposite direction with the mouth open, and gazing downwards. Ivory with beautiful aged patina and fine shrinkage cracks consistent with age. 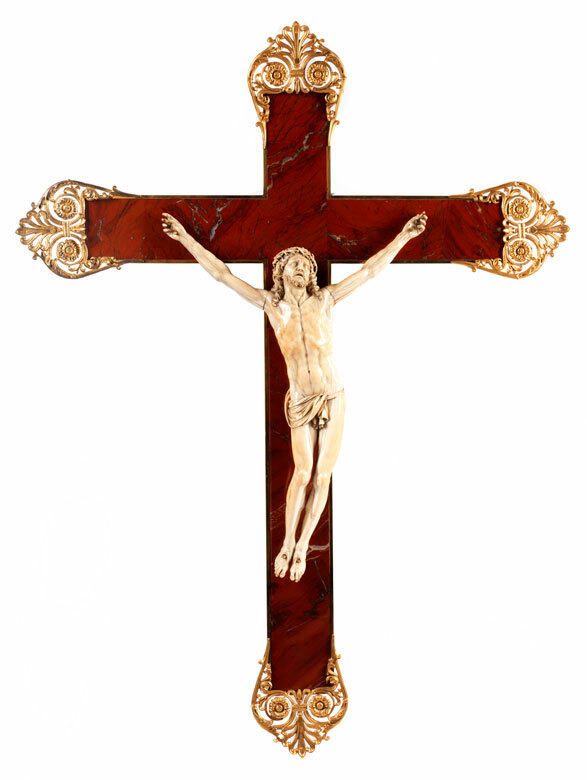 The width of the flat cross with red jasper, inlaid with a gilt surrounding frame. The beam-ends decorated with classic open-work palmette décor and volute rosettes. Damaged.